Welcome David Boop to Pulp Reports. Q. What is weird western? What makes it different from other genres? A: A weird western is a western mashed up with some other genre, be it sci-fi, fantasy, horror. This is different than space western wherein you have a story that is set in space but with western tropes, such as Outland or Star Trek. It’s different because it’s the first true mash-up, starting way before other crossed-genres. We see sci-fi and horror westerns as early as the dime novel era of the mid-1800s. Q. 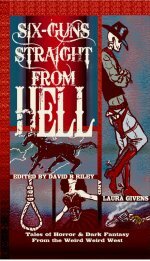 Why do you write weird westerns? What do you enjoy about it? Love about it? A: I started writing weird westerns accidentally. 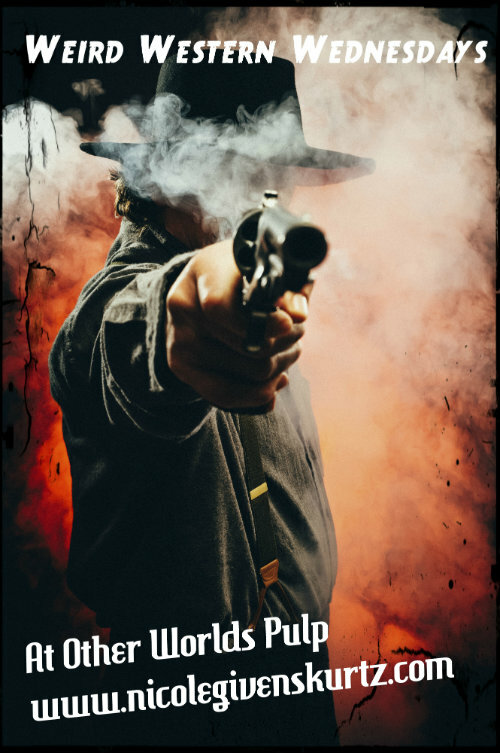 I submitted to a western mystery contest a piece where the ghost of an outlaw has to solve his own murder. When it didn’t win, I told a friend David Lee Summers about it. He agreed to publish it and told me all about weird westerns. I love playing with tropes, breaking genres and reassembling them in my own way. Q. If you could be any weird western character, who would it be? Why? A: I love gamblers. Good ones and bad ones. I hope I’d be the gentleman gambler, but who knows? I could go bad easily. They were more magicians than actual players; slight of hand, mental manipulation, all the tricks modern magicians still use. Q. What’s next in terms of weird western fiction? Where does the genre go from here? A. Steampunk seems to be the illegitimate child of weird westerns and have dominated the genre for awhile. I think we’ll see the return of the space western and more horror westerns. It’s unfortunate “Cowboys and Aliens” didn’t do better (I, for one, love it!) so we’d see more sci-fi western pieces. Q. Is the anime, Cowboy Bebop, a weird western? A. It’s a space western, a science fiction story with western aspects. Most weird westerns are going to take place on earth, in the American west, during the period of 1850-1910, or there abouts.